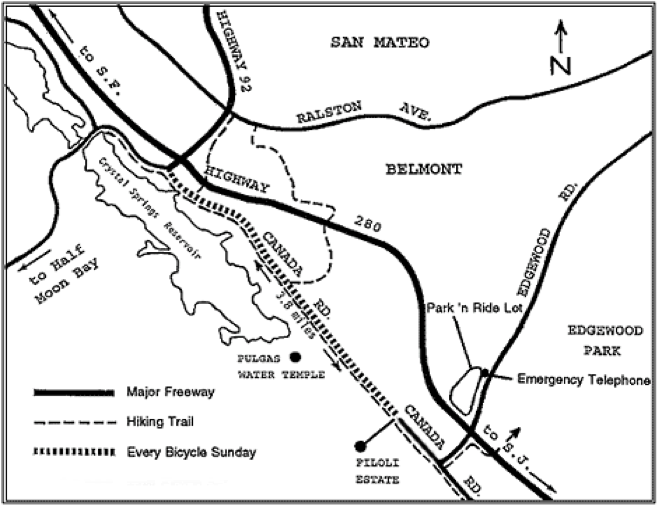 Bicycle Sunday is a year-round event that takes place along nearly four miles of Cañada Road from Hwy 92 to Filoli Gardens. The road is closed to vehicles from 9 a.m.–3 p.m. to give cyclists, rollerbladers and joggers free reign of the road. 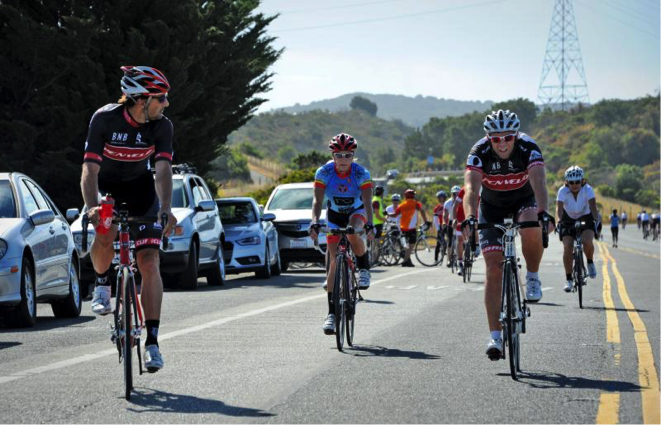 A safe and beautiful place to ride: whether you are new to cycling and want a safe place to practice or a seasoned rider looking for a gorgeous location to cruise, Cañada Road is the spot for you. With views of Crystal Springs reservoir and beyond, you are sure to start your Sunday off right with a little non-motorized exploration. Road cycling continues to grow in popularity as more people realize the recreational, health and commute benefits of hopping on a bike. The San Mateo County Parks Foundation provides funding to cover staff resources for this weekly event. We are also seeking funds to add portable restrooms at the north end of the route. Please contact Michele at Michele@SupportParks.org to learn more about sponsorship opportunities for Bicycle Sunday. Event may be cancelled due to rain or lack of staffing. Thank you to Palo Alto Medical Foundation for being a loyal supporter of Bicycle Sunday. Together, we are promoting healthy communities.